One Year Later, Did Nintendo Keep Its E3 2010 Promises? E3 is the biggest event the video game business. Every company lays their cards on the table, and every AAA game for the next year is on display. Failure is not an option. As high as the stakes were before, Nintendo managed raise them at their 2010 E3 keynote. Riding high from strong Wii and DS sales, they had reason to be confident and ambitious. The pressure was on. Both Sony and Microsoft - whose E3 2010 promises we've also been checking - were promoting motion controls, an area of gaming Nintendo pioneered. As a result, they spent their E3 2010 keynote promising to re-boot three classic franchises and announced a new portable console. One year later, we'll see whether or not they had any business being so bold. 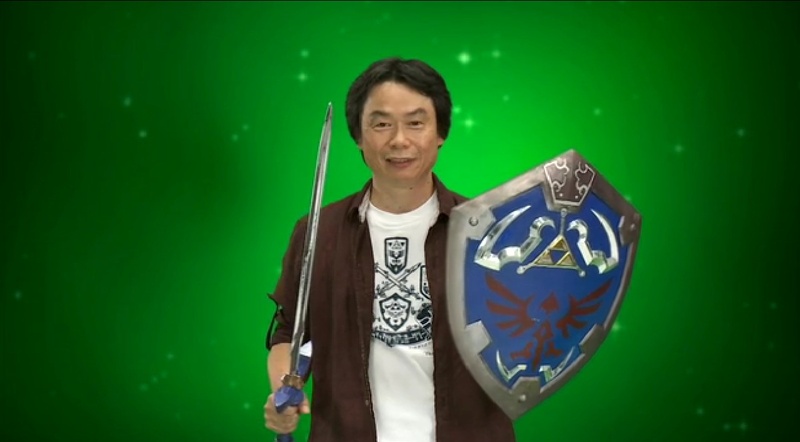 Right out of the gate, Nintendo hit us with a preview of the next Zelda game, The Lengend of Zelda: Skyward Sword. Despite some technical difficulties during the demo, Nintendo's top game maker, Shigeru Miyamoto, promised that the game would be ready "next year", meaning 2011. Verdict: Probably right. There hasn't been much news about Skyward Sword, but that doesn't necessarily mean that the game won't be ready to go by the end of the year. The timing is curious, though. It's hard not to wonder if Skyward Sword will either be pushed back to become a Project Café (read: Wii successor) launch title or possibly get the Twilight Princess treatment, with two separate console releases. NBA Jam... A Wii Exclusive? Nintendo teased a reboot of NBA Jam, the first of many revivals they would show that day. Very little about the game was mentioned, but they did announce a Wii-exclusive "version" of the game. Verdict: NBA Jam was eventually released on both PS3 and Xbox 360, so the game wasn't an exclusive. That said, technically Nintendo didn't say that the game was a Wii exclusive, just that there would be an exclusive "version". That said, almost every multi-platform game that's released on the Wii is technically an "exclusive version". Nintendo declared that their new Mario sports title, Mario Sports Mix, would be released in 2011. Verdict: They got it. Mario Sports Mix hit stores in the US on February 7th, 2011. Nintendo teased their next ultra-casual Wii title would be Wii Party. The preview showed a set of mini-games starring Mii characters, and indicated that the game had a planned "holiday 2010" release date. Verdict: Technically they were wrong, but that's not really a bad thing. The game was in stores on October 3. Since October is in the last quarter of the year it could be construed as "holiday", but I think of October as fall, because stores were selling Halloween candy, not candy canes. Nintendo reminded gamers who were enamored with Dance Central at Microsoft's keynote that they were the first ones in the padless dance game racket. 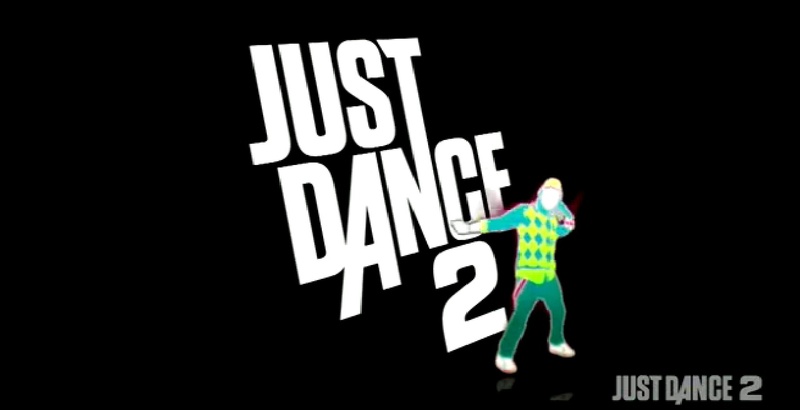 They announced that Just Dance 2 would be coming out in the fall as a Wii-exclusive. Verdict: Knowing that dancing game fans are the most temperamental of gamers, Nintendo made sure to ship JD2 on time. The game came out on October 12, supporting my previous assertion that October is actually "fall" and not "holiday". Nintendo showcased a lot of game franchises at this show, as you can tell. Next on the hit parade was the DS' Golden Sun: Dark Dawn, which Nintendo said would be ready for the 2010 holiday season. Verdict: Golden Sun: Dark Dawn made it to stores on November 29, smack dab in the middle of their window. The Wii reboot of Goldeneye was, for me, one of the biggest disappointments of 2010. Still, when Nintendo showed the first trailer of the reborn classic I was just as ecstatic as everyone else. Nintendo specifically said that GoldenEye would be out in November of 2010. Verdict: They didn't keep the fans waiting: GoldenEye was in stores November 2nd, 2010. Respected game designer Warren Spector walked us through some of the different types of environments in Epic Mickey, which was said to be a Wii exclusive. Nintendo said that Epic Mickey would be out in time for the 2010 holiday season. Verdict: Again, Nintendo kept their word. Epic Mickey was released on November 30th, 2010. Nintendo yanked Kirby out of retirement, putting him in a new Wii platformer, Kirby's Epic Yarn. This was Kirby's first starring role on a console seven years. The shape-shifting blob was brought back in style, sporting a new string-themed motif. Nintendo said that Kirby would be on shelves that fall. Verdict: Epic Yarn shipped on time, arriving on October 17, 2010. Nintendo was happy to tell Western gamers about how much the Japanese loved Dragon Quest IX, and that they were going to enjoy it just as much when it came stateside on July 11th, 2010. Verdict: Studios try not to put out specific release dates until they're sure they can make them. Nintendo saw it through and DQIX came out on July 11, as promised. Nintendo announced their new Metroid at their 2009 conference, but, this year, Nintendo was ready to say that Metroid: Other M would be in stores on August 31, 2010. Verdict: Again, with the world watching, Nintendo wouldn't throw out such a specific date if they weren't planning on keeping it. The game released on the last day of August, as promised. To close out the software portion of the show, Nintendo announced that Metroid Prime developer Retro Studios had taken on a new challenge; Bringing Donkey Kong Country back to the forefront of the gaming world. After a nice little trailer, Nintendo announced that Donkey Kong Country Returns would be ready by the end of 2010. Verdict: Donkey Kong Country Returns was released on November 21. A New Portable Unveiled. The 3DS! Nintendo waited 'til the end of the show to bring out the big guns, rolling out the 3DS and giving us a little taste of what it could do. Some of the console's new basic hardware functions were detailed. Nintendo claimed that the 3DS would have a 3.5-inch 3D top screen, with a DS-like lower touchscreen that would not display 3D images. It would have a 3D slider that players could adjust to modulate the "level" of 3D or turn it off, as they pleased. They also added an analogue "slide pad", a motion sensor, a gyro sensor and a 3D camera. Nintendo also teased the 3DS' ability to download updates and communicate with other consoles wirelessly, but didn't fully explain its functionality beyond downloading DLC and firmware updates. Lastly, Nintendo sheepishly mentioned that the 3DS would be able to play movies and movie trailers in 3D, but emphasised that they weren't sure how much content would be available or when it would be ready. Verdict: Pretty much everything they said was correct. The 3D screen is 3.5 inches, and all of the other technical features (touchscreen, 3D camera, motion sensor, gyro sensor, etc) are in the retail version of the console. The automatic downloading capability was eventually split into two features and renamed. 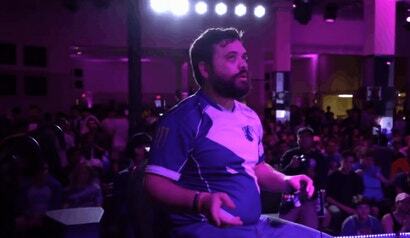 "Street pass" allows 3DS systems to link wirelessly when in proximity with each other. "Spot Pass" automatically connects the 3DS to wi-fi whenever it's available, allowing the console to download updates. As for the 3D movies and trailers, Nintendo sent out the music video for Ok Go's White Knuckles to 3DS users this spring, proving that the console is physically able to play non-gaming content in 3D. It's kind of a moot point, though, since the 3DS' online DLC service, The E-Shop, hasn't gone live yet. There is no way for players to get videos, 3D or not. The service is now expected to go live during E3 2011. Kid Icarus: Uprising Could Come Out When? Nintendo didn't say a lot about which games they were making for the 3DS, but they did announce one high-profile reboot, Kid Icarus: Uprising. Very little gameplay was shown beyond the fact that combat would include shooting and that there would be both flying and land-based segments. The trailer ended with a very ambiguous "Coming Soon". Verdict: I don't know what "coming soon" means to you, but more than a year seems like a pretty long time to me. Kid Icarus: Uprising is currently slated for a summer 2011 release, meaning it will be in stores some time beween late June (unlikely) and the end of August. Building a device that featured glasses-free 3D was impressive, but the most surprising, out-of-character announcement Nintendo made was its massive, star-studded list of third-party developers who were developing for the 3DS. Declaring that the 3DS would launch with more third-party support than any other Nintendo platform, they showed a partial list of their most prestiegous development partners. After flashing that list, they went through some of the developers, revealing that many of these studios were making 3DS versions of their biggest franchises. Activision and Harmonix were creating DJ Hero 3D. Level-5 announced Professor Layton and the Mask of Miracle. Square-Enix was making an unspecified Kingdom Hearts game. THQ was working on a new Saint's Row. EA planned on releasing non-annualized versions of FIFA and Madden. Capcom announced that were working on a new Resident Evil. Ubisoft announced Assassin's Creed: Lost Legacy. Finally, Warner Brothers Games didn't announce a game, per se, but a slide was shown with their logo and a Batman symbol. Verdict: Ok, so some of these games have already come out, some are on the way, and some... well some of them fall somewhere between incognito and vaporware. Let's go through and see. DJ Hero 3D: DJ Hero 3D hasn't been officially cancelled, but common sense say it will never see the light of day. 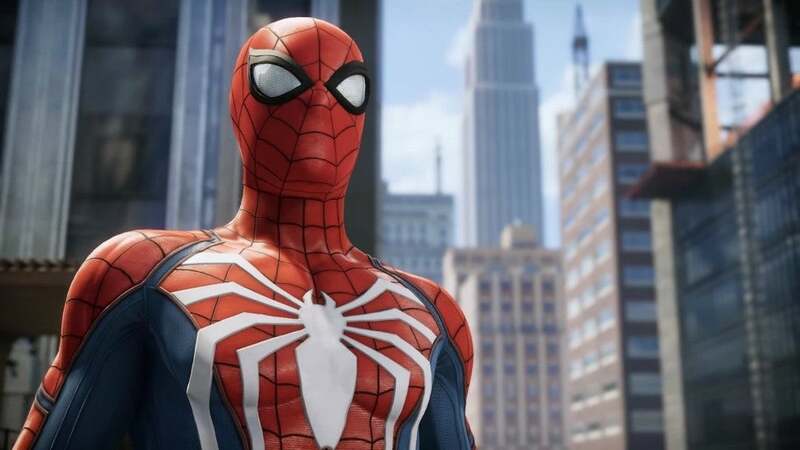 Activision has said that they aren't publishing any music games this year and Harmonix, given delicate position at the moment, will probably let this one fall by the wayside. Professor Layton and the Mask of Miracle: The newest Layton game was a Japanese 3DS launch title. It's currently expected to be released in North America some time this year. has become a primarily handheld franchise so a 3DS game would make sense, but the burden of proof is on Square-Enix to show that this exists. Saint's Row: The 3DS version of Saint's Row was going to be a portable version of an upcoming XBLA and PSN downloadable game, Saint's Row: Drive By. It seemed earlier this month that the development of Drive By had been cancelled. Therefore, while the 3DS game was never officially cancelled, it's probably safe to say that THQ dropped it. Madden and FIFA: Madden was a 3DS launch title, so that one's all good. FIFA, which is now FIFA 2012, is expected to come out some time this (northern) fall, but no specific date has been given. Resident Evil: Since E3, that undisclosed Resident Evil title has now become two seperate games. Resident Evil: Mercenaries, a fleshing out of the time-attack mode in many of the series' past entries, will be in stores on June 28. Resident Evil: Revelations, which is probably the game they were referring to, is a brand new story that takes place between Resident Evil 4 and Resident Evil 5. It has a planned 2012 release date. Assassin's Creed: Lost Legacy: Similar to the Kingdom Hearts game, I've never heard of this game outside of this event. No rumours. No news. Nothing. Untitled Batman Game: I can only guess as to what Nintendo and WB Games were thinking here. Maybe an Arkham City tie-in? Maybe a 3DS version of the recently-announced shooter Gotham City Imposters? Maybe there's a whole new game coming and we haven't heard about it yet. For now though, thinking about the game will just make my head hurt. Metal Gear Solid: Konami is remaking Metal Gear Solid 3: Snake Eater for the 3DS. Metal Gear Solid 3: Snake Eater 3D Edition is on track for a November 2011 release. Final Verdict: Coming out of E3 last year, the consensus was that Nintendo did the best job of the three console makers. Looking back, it seems that, while they gave the best performance, they were actually the least able to back up their claims. Yes, they managed to get out all of the Wii and DS game that they showed. The model of the 3DS that they showed at E3 is basically what they ended up shipping earlier this year. But when it came to their largest and most important claims - those concerning software support for the 3DS - their track record was pretty bad. Their failure to get some of these games off the ground has translated to lackluster 3DS sales. Those were the promises for E3 2010. We get new promises in two weeks; we'll be checking them next year. Top photo by Damian Dovarganes/AP. Other images via Gamespot's livestream of Nintendo's E3 2010 keynote. To be fair, everything that Nintendo itself actually had control over - except for the online store for 3DS, which it admitted it couldn't do without help - was delivered as promised. There's not much Nintendo can do to get 3rd parties to push games out sooner, so I wouldn't hold that against them. Plus, I'd say that lackluster 3DS sales are more a function of every man, woman, grandparent, child and their various pets already having and getting acceptable value from their DS, DSLite, DSi or DSi XL. Like DS, IMHO 3DS will really take off once it undergoes a hardware revision that includes better battery life and a pricedrop. Kingdom Hearts was shown at Nintendo World 2011. So it exists. It was 3D in-game footage only, not playable. It's a remake of the first isn't it? Thought Sony was supposed to be next to be analyzed for their E3 promises? Harmonix weren't doing dj hero 3d?